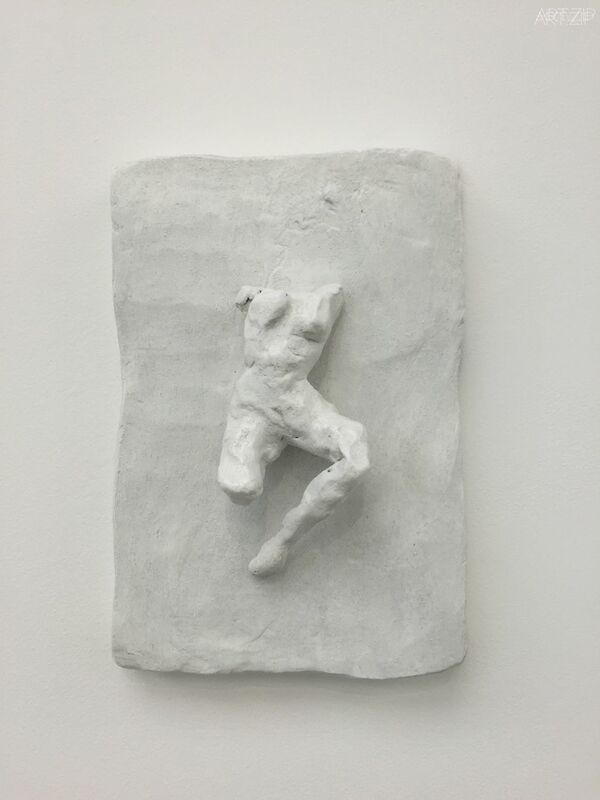 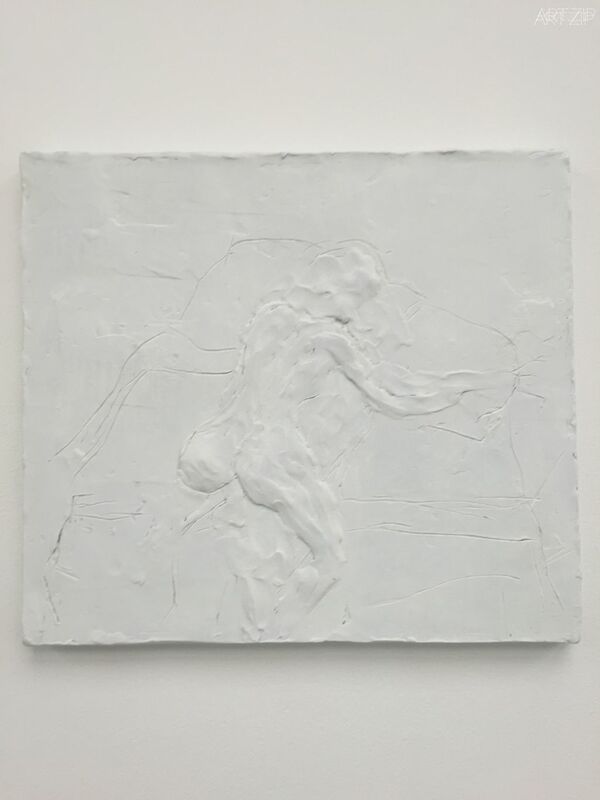 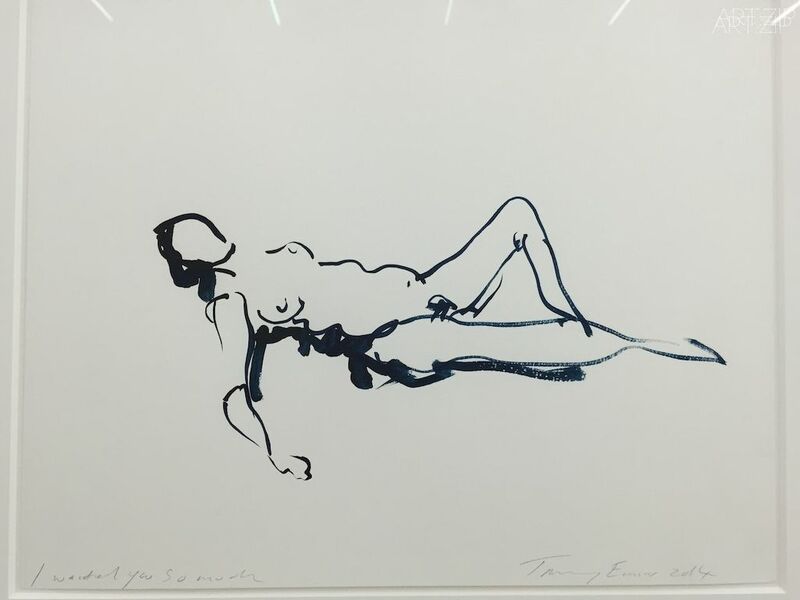 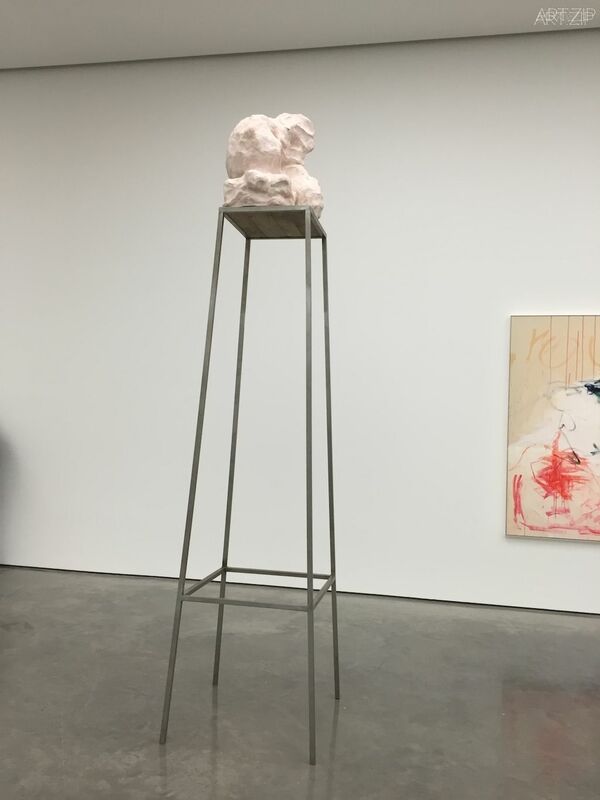 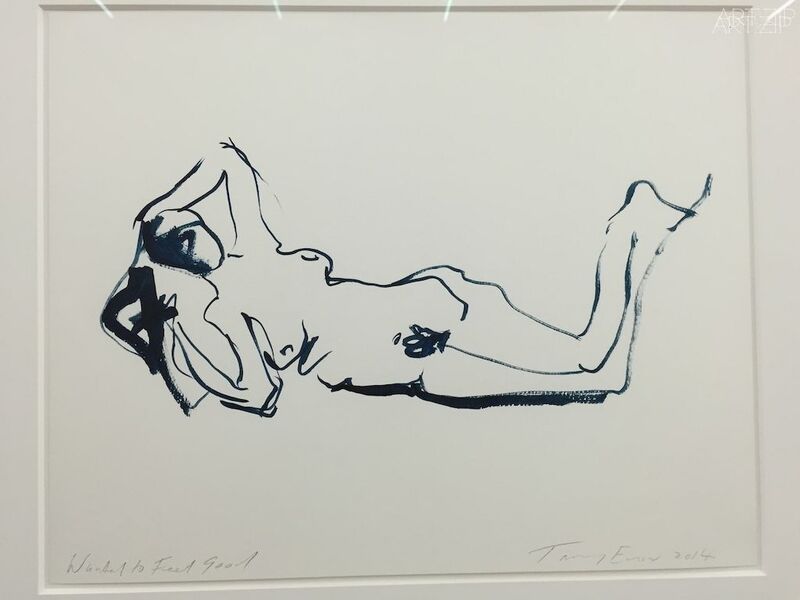 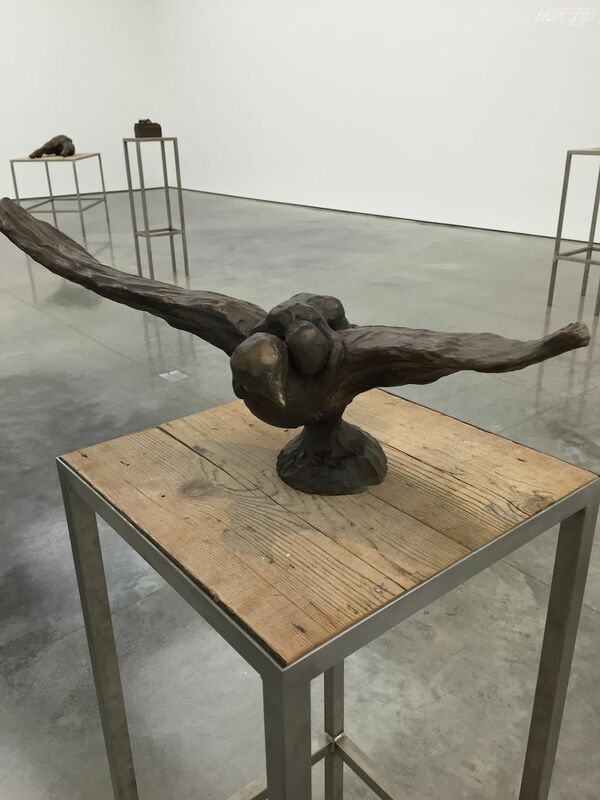 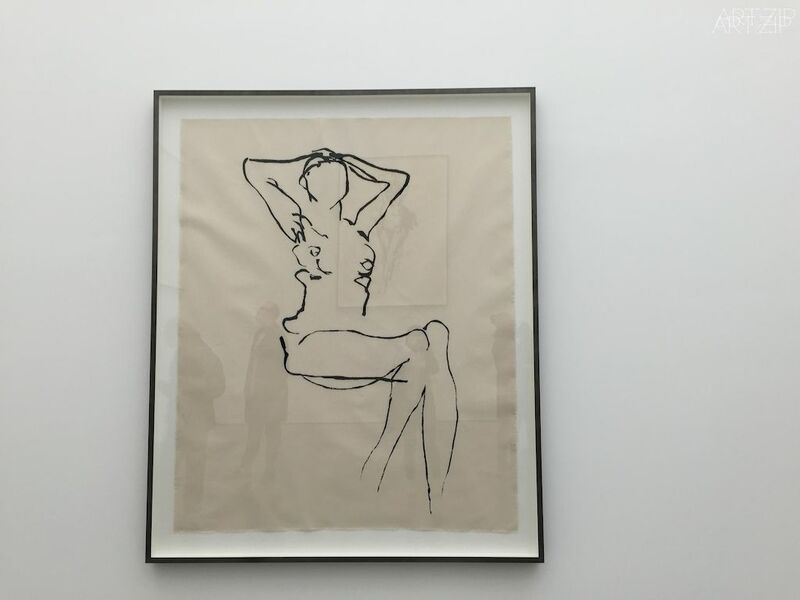 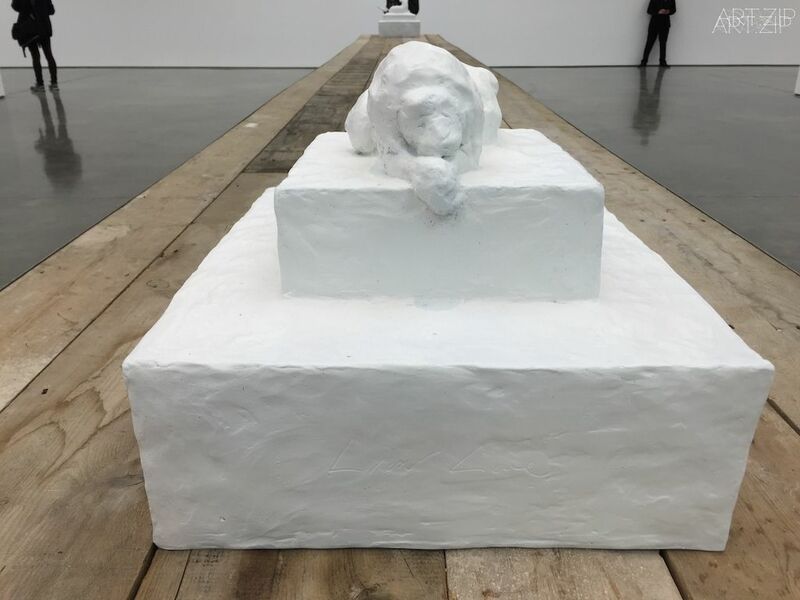 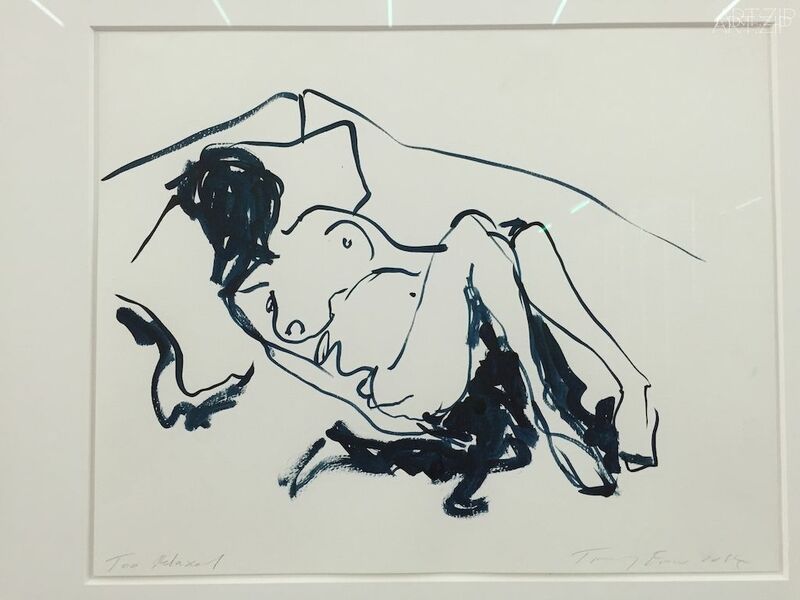 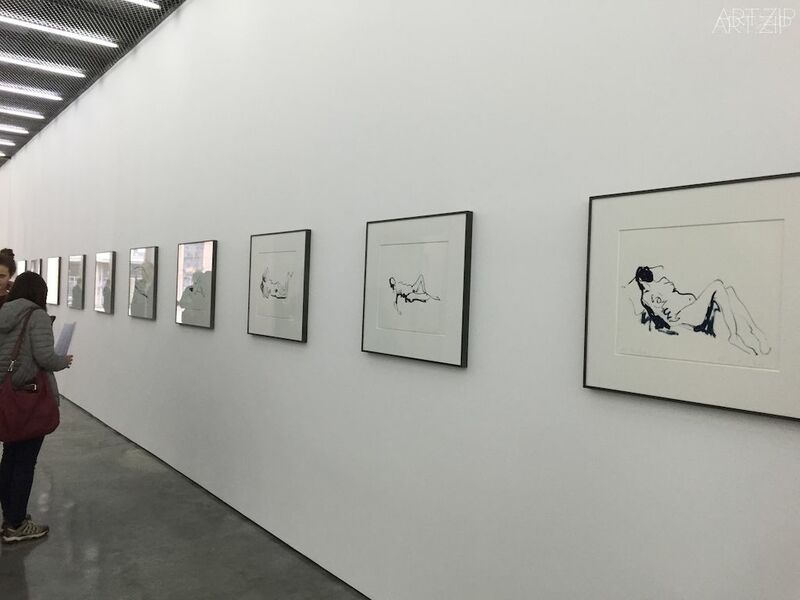 White Cube is pleased to announce ‘The Last Great Adventure is You’, a major new exhibition by Tracey Emin, her first at the London gallery in five years. 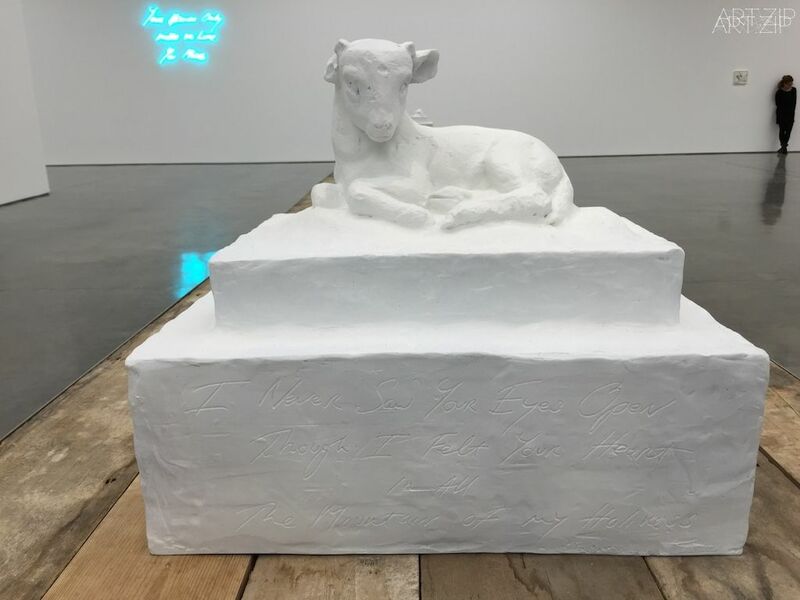 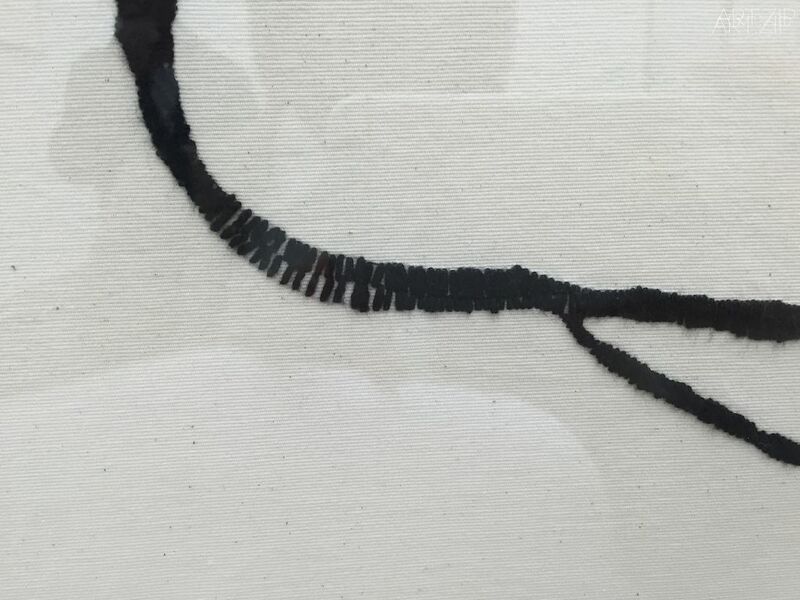 Featuring bronze sculptures, gouaches, paintings, large-scale embroideries and neon works, the exhibition chronicles the contemplative nature of work by an artist who has consistently examined her life with excoriating candour. 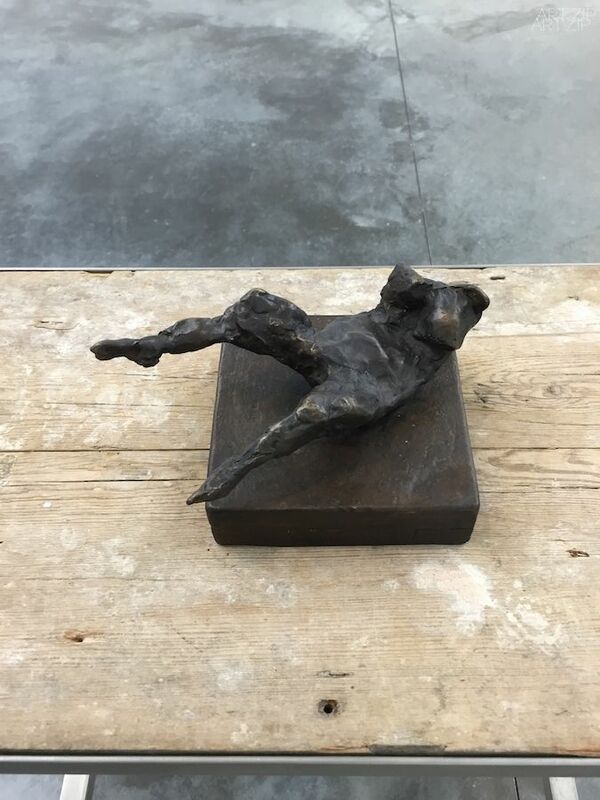 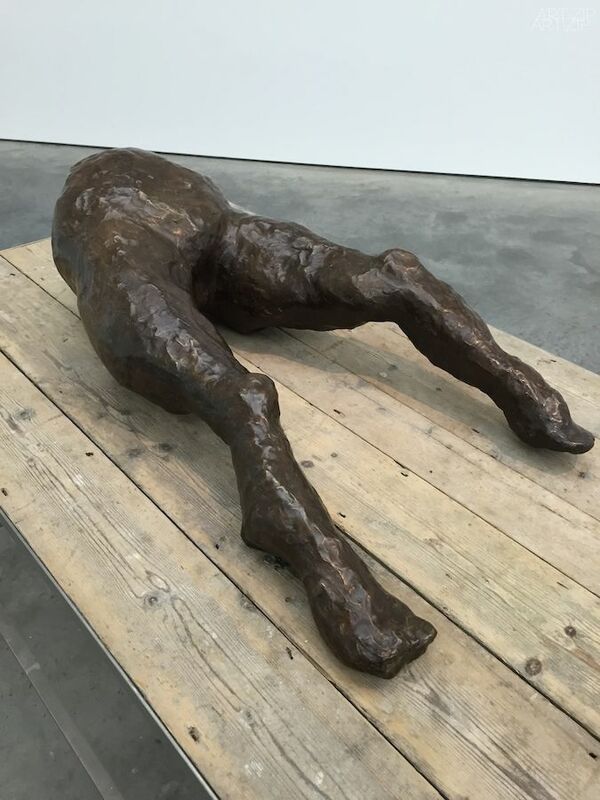 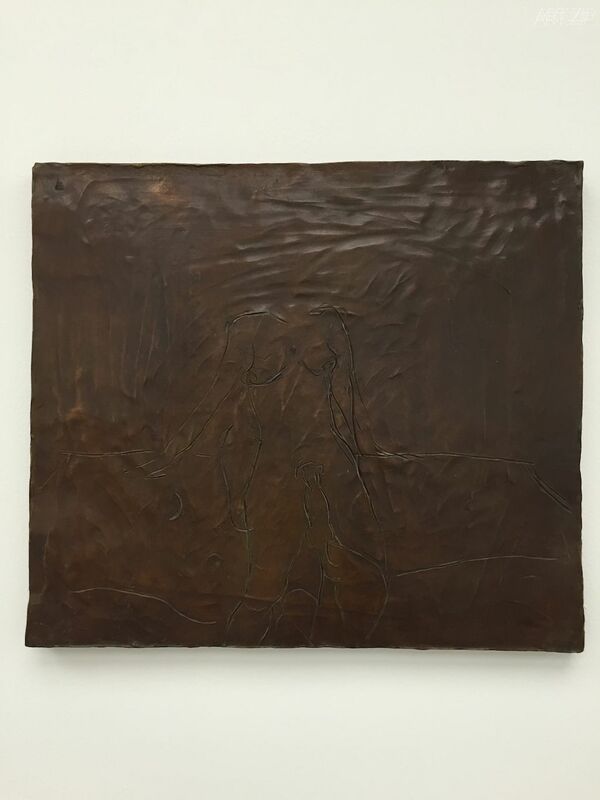 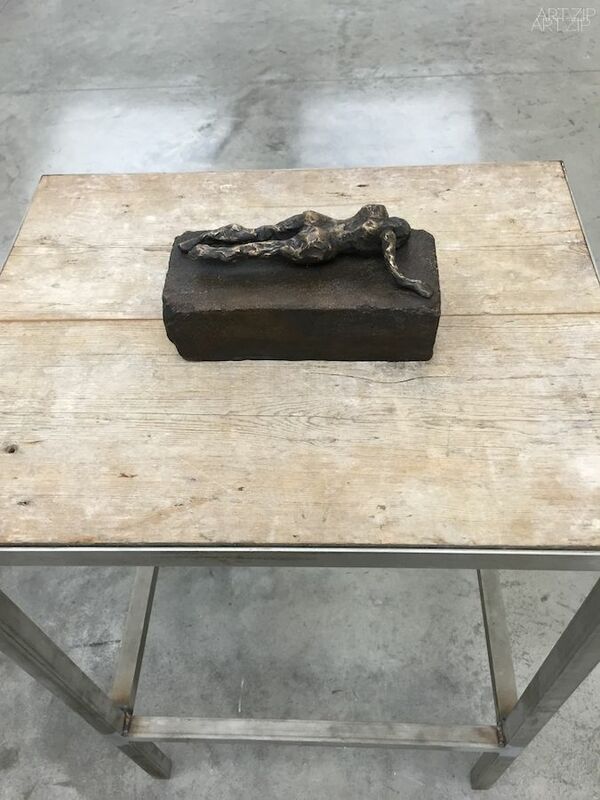 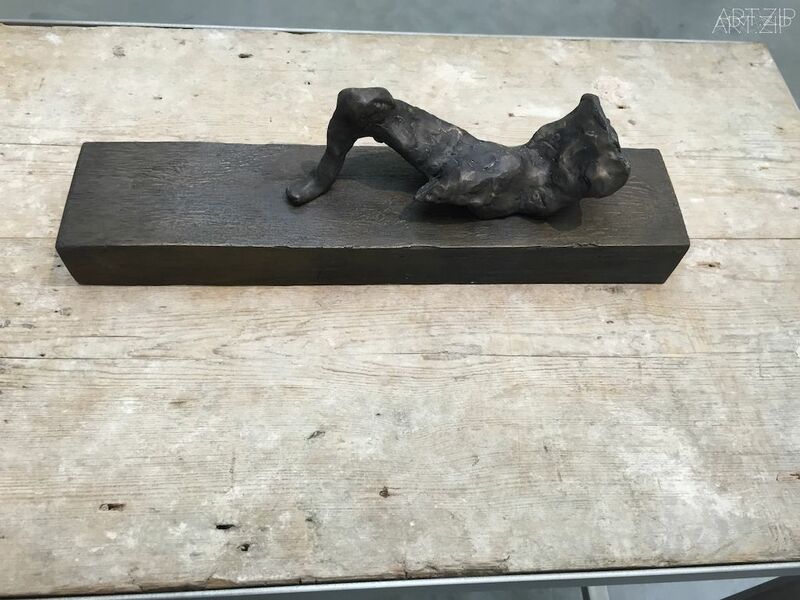 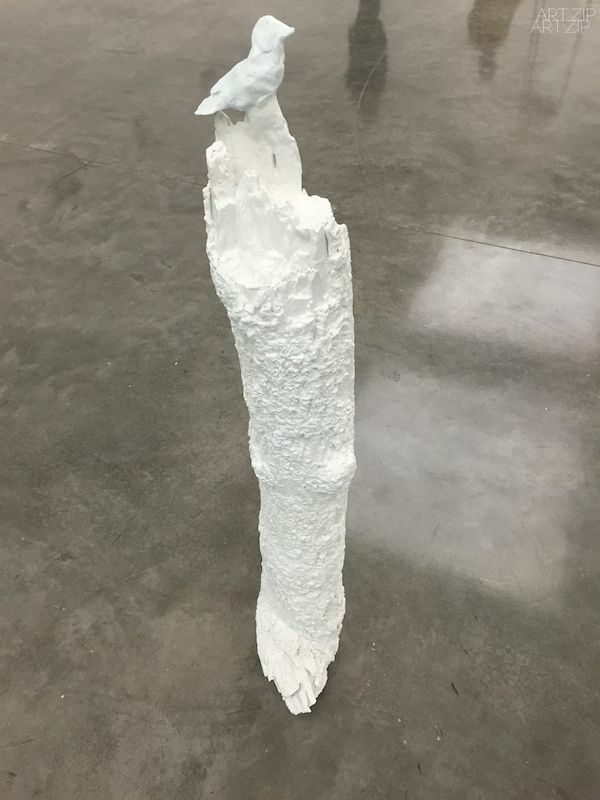 Reflective in tone, the works in the exhibition are the result of many years’ development, from the bronze sculptures – the most significant body she has made to date – to the works on canvas. 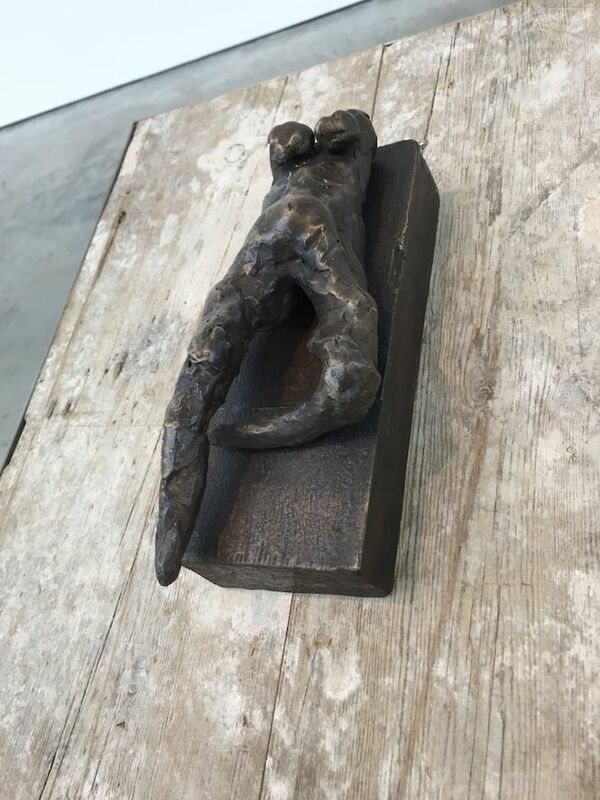 There is a complexity in the sculptural form of the bronzes, simultaneously robust yet tender, that points to a consummate understanding of material, composition and subject matter. 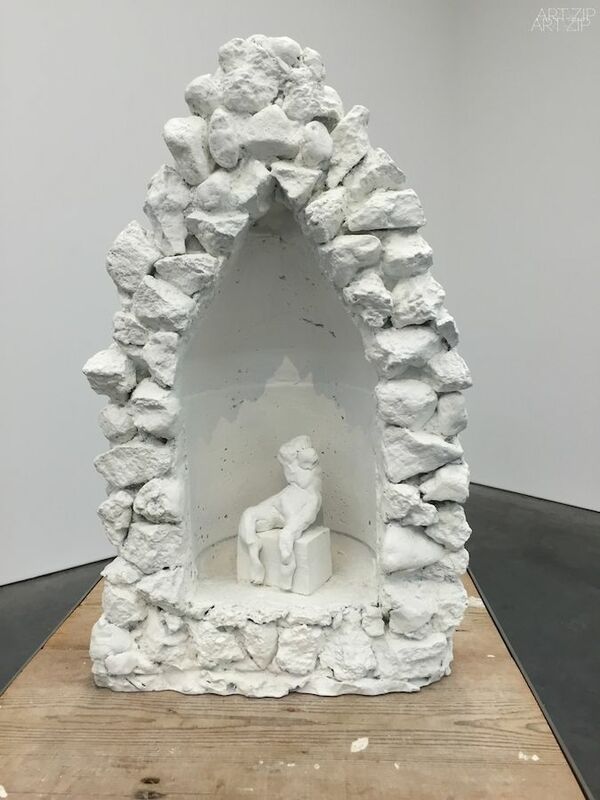 In Grotto (2014), a tessellated, cave-like chamber gives sanctuary to a solitary figure as artist proxy, while the muscular form ofBird (2014) harmonises sinuous lines with gravity and grace. 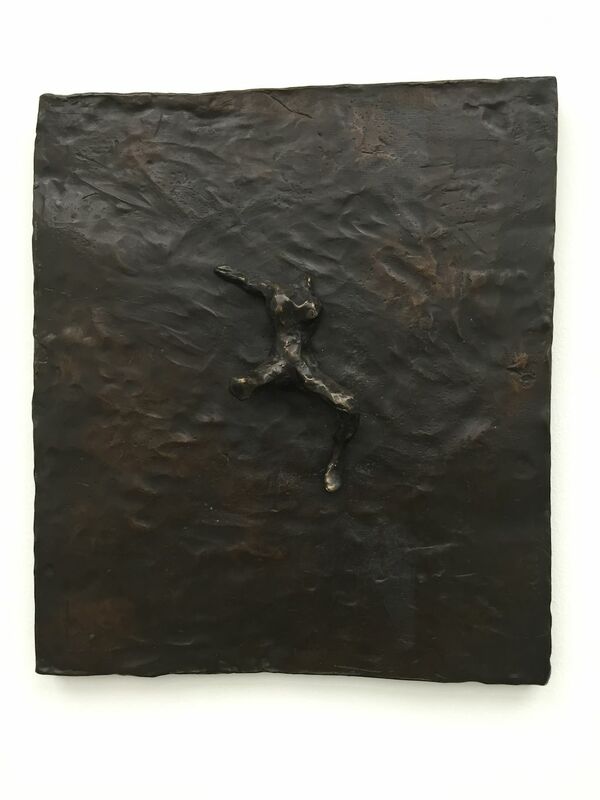 A series of bronze bas relief plaques portray figures that appear amorphous yet distinct, with subtle interplay between light and shadow. 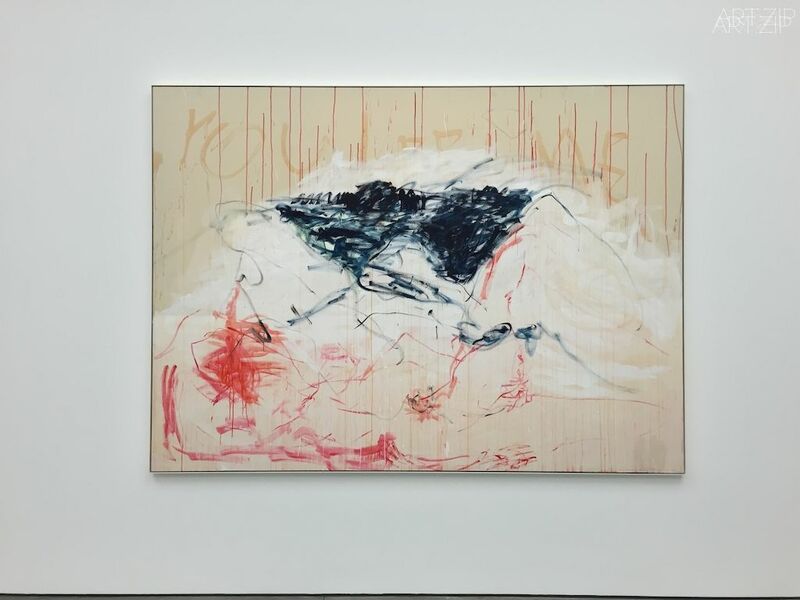 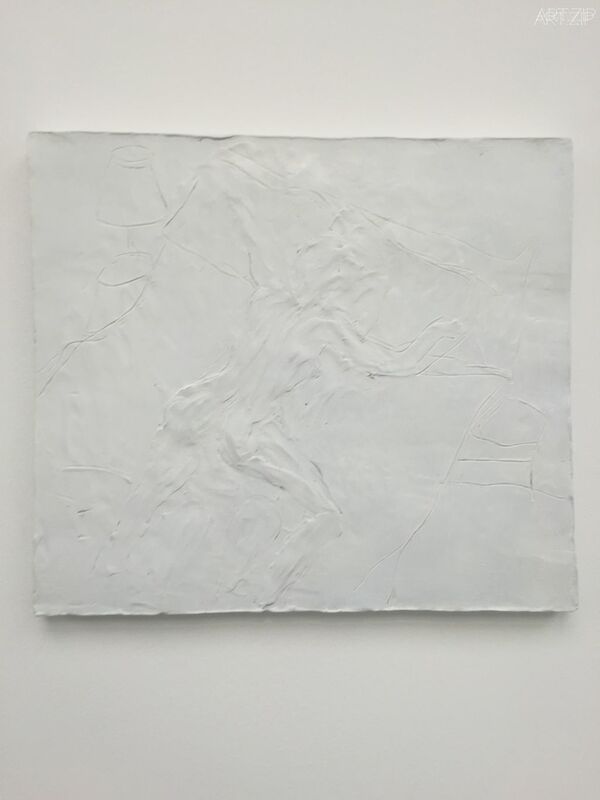 While the paintings at first appear simple and immediate, many of them are the result of application, obliteration and layering over a period of several years. 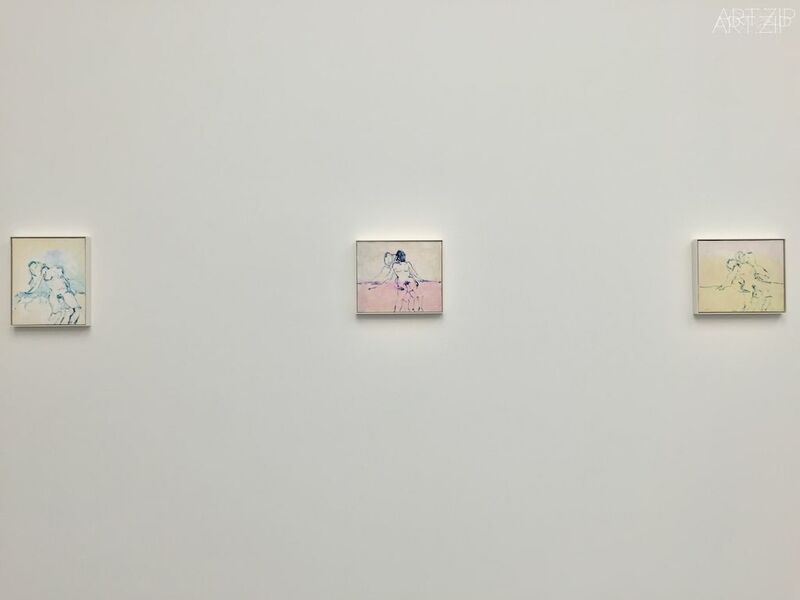 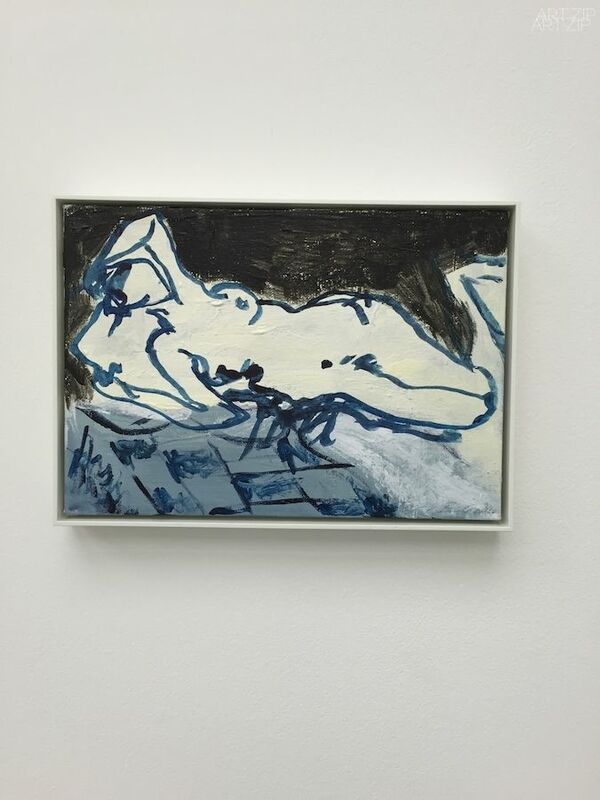 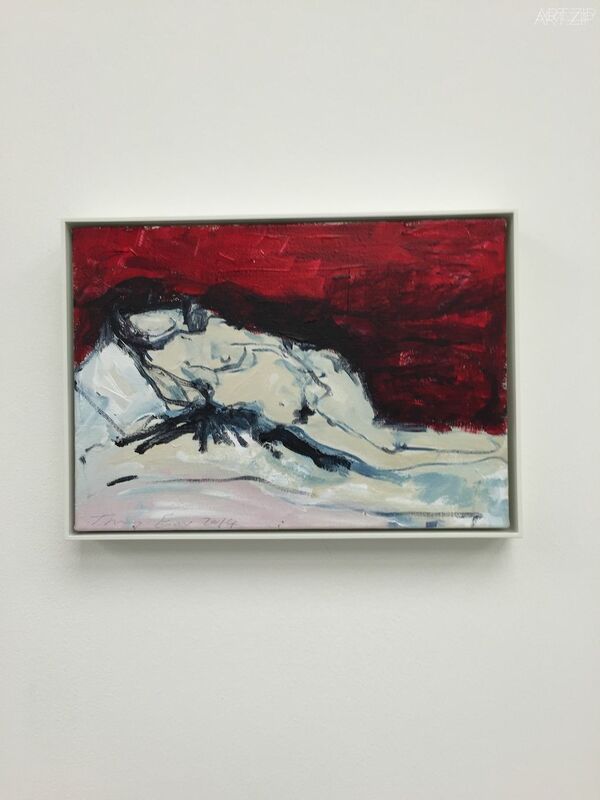 Emin repeatedly returns to the canvases as a means of reviewing, revising and reconsidering her own position in relation to painting through temporal passages. 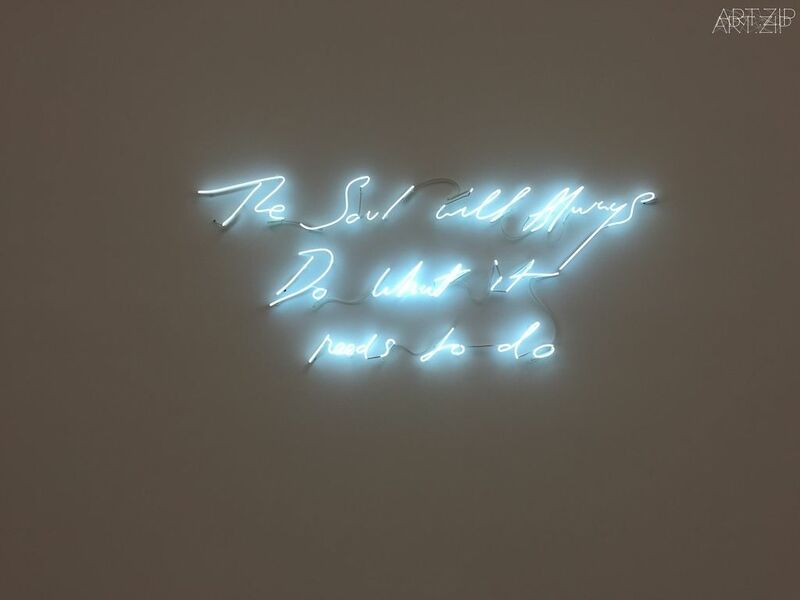 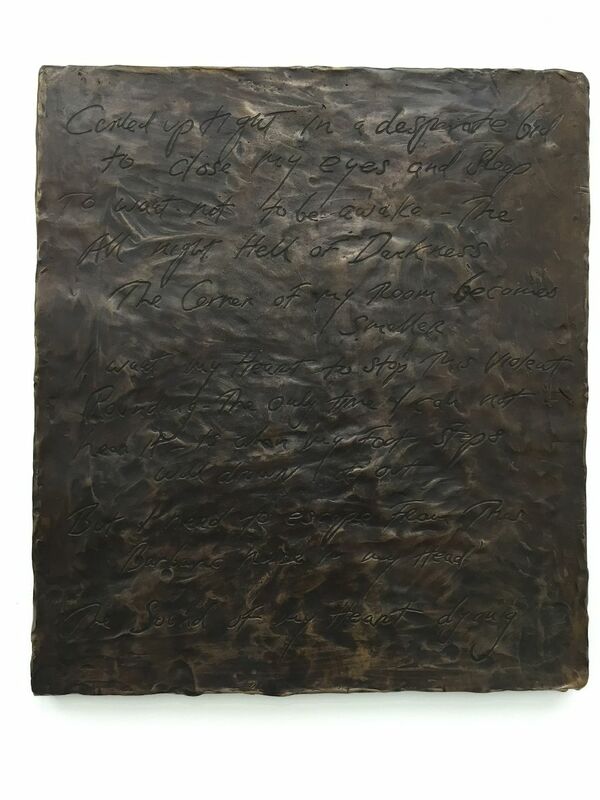 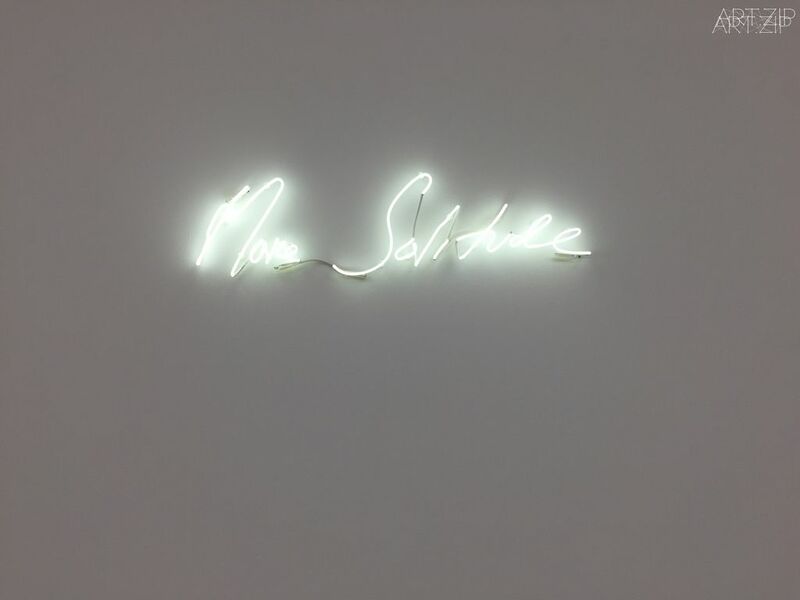 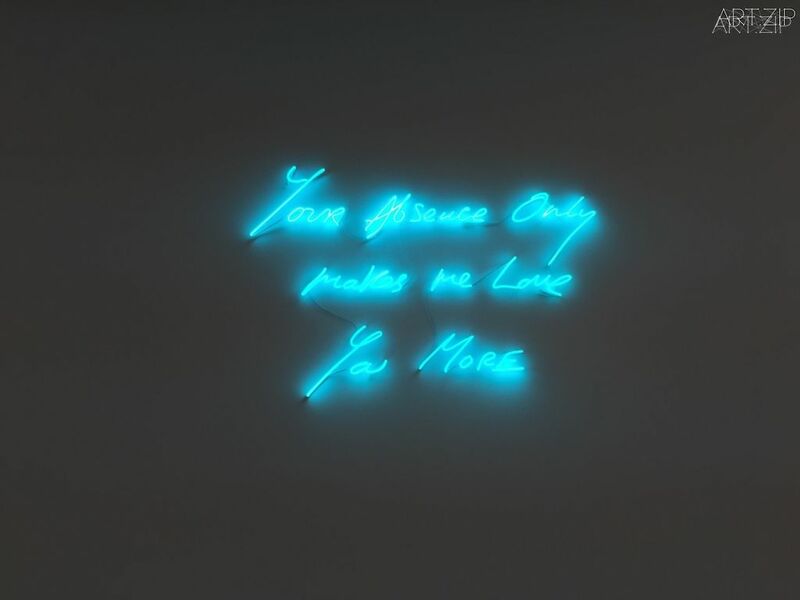 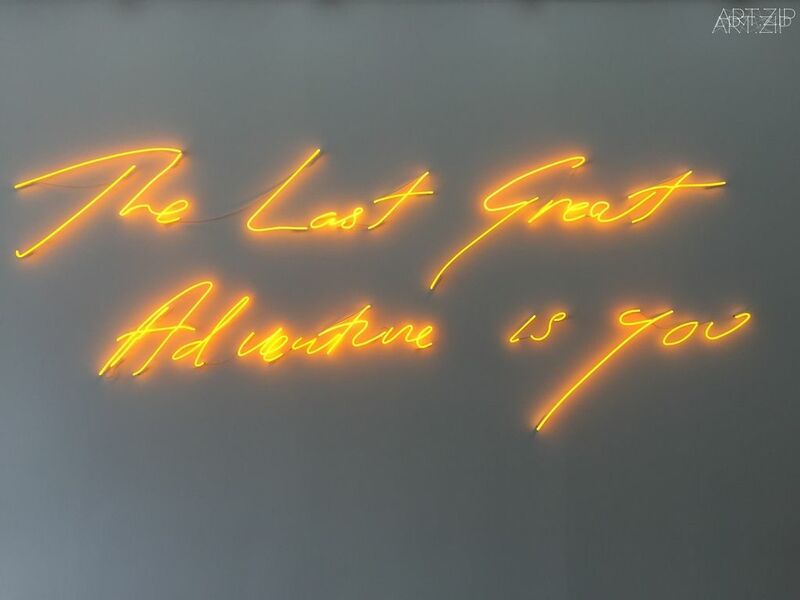 The title ‘The Last Great Adventure is You’, which is transcribed in neon within the exhibition, was originally intended by Emin as a reference to the ‘other person’; however, over the two year period since she began creating this body of work, she came to realise that the implication was once again coming back to the self.